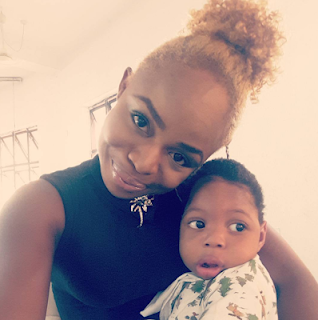 Singer, Jodie in an interview with LIB revealed the struggles she went through during childbirth and the shock to hear that her son was diagnosed with Lissencephaly and Cerebral Palsy after two weeks. She said: "At a point during childbirth, my labour was extended, it was not progressing as we thought it would. So I had to do emergency CS. I feel grateful, my boy celebrated his first birthday recently. So saying this now, I'm remembering the birth. When they induced me, I slipped into unconsciousness at a point. I felt like I was in a void. It was me, myself and I for real." Speaking on her child, she said that when her son, Chinua was born he didn't cry for nine hours . "My boy, after the labour issues and all of that, it affected him, he didn't cry for nine hours. They had to refer us to another hospital because of that. Thank God he later cried. When he was admitted, doctors said, oh! he is going to be this and that. We finally went home. Two weeks later, I started noticing the depression in his head. We had to do lots of scan and eventually they diagnosed that he had cerebral palsy and Lissencephaly. After her son was diagnosed, Jodie revealed that at a point she was being advised by doctors to leave her son with her mother else she would run crazy. She also spoke on the emotional roller coaster it has been for her since the diagnosis and how she has continued to conquer. The decisions she has taken, her marriage and her future plan.